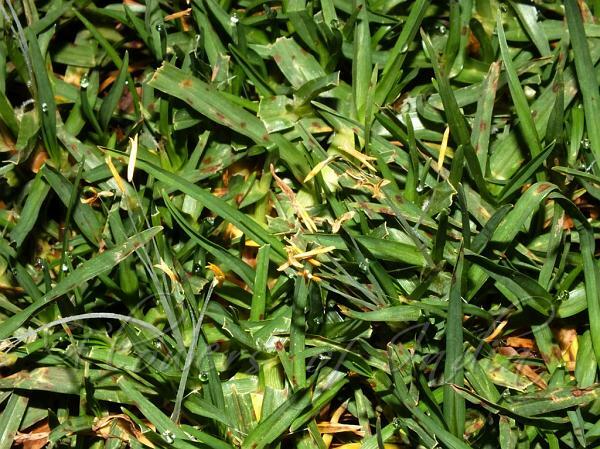 Kikuyu grass has been highly popular as a lawn grass. It is a rhizome forming and runner forming perennial herb. Leaves with ligule a dense fringed with hairs rim; blade 3-7 mm wide, hairless or slightly hairy. Inflorescence are borne on short shoots mostly reduced to a cluster of 2-4 spikelets, enclosed in sheaths, at branch-ends spikelet with up to 15 delicate bristles, the lateral with fewer. Spikelets bisexual or functionally unisexual, 10-20 mm long. Lower glume minute; upper 1-8 mm long. Lower lemma sterile, as long as the spikelet, 813-nerved; palea absent. Upper lemma bisexual, protogynous or functionally female with rudimentary stamens, or functionally male with rudimentary gynoecium: lemma similar to that of lower floret. Stamens in bisexual or male florets with very long, protruding filaments 2.5-5 cm long. 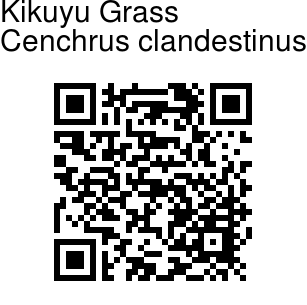 Kikuyu Grass is native to the region of East Africa. Identification credit: Paramjit Singh Photographed in Chakrata, Uttrakhand.